It was a busy day of announcements of some new productions joining the Broadway circuit this year. 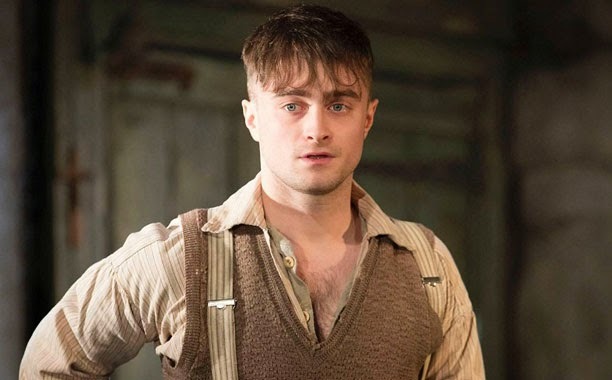 First up, Harry Potter himself Daniel Radcliffe will return to Broadway in the Michael Grandage production of Martin McDonagh's The Cripple of Inishmaan. The transfer of the sold out run will play the Cort Theater beginning April 12 with many of the original cast returning. Radcliffe, who seems to have been bitten by the Broadway bug, will make this third appearance on the Great White Way having previously appeared in revivals of Equus and How to Succeed in Business Without Really Trying. Next up is a revival of the Maury Yeston and Peter Stone musical, Titanic. Though no Broadway house has been named as it's home, Titanic will have a pre-Broadway tryout in Toronto this summer. Finally, Roundabout announced a revival of the hit comedy Noises Off will return to Broadway in the winter of 2015 at the American Airlines Theater. Though no casting has been announced yet, the revival will be directed by Jeremy Herrin. So which show are you most looking forward to?